Tim Grime of Tim Grime Photography in Australia sent me a message about a musician that he recently seen. The musician was Ed Kuepper who is an Australian guitarist that has been around the block! I like these types of messages. Ed Kuepper is someone that I was not familiar with, so I wanted to do some digging. Ed Kuepper was part of multiple projects starting in 1973. The Saints (1973 – 78) which I really dug that 70s punk sound/style. Laughing Clowns (1979 – 85) – post-punk, elements of avant-jazz/weirdness. Very cool. A solo project off and on from 1985 – present, and in the mix there he also formed The Aints which I was able to find much on. 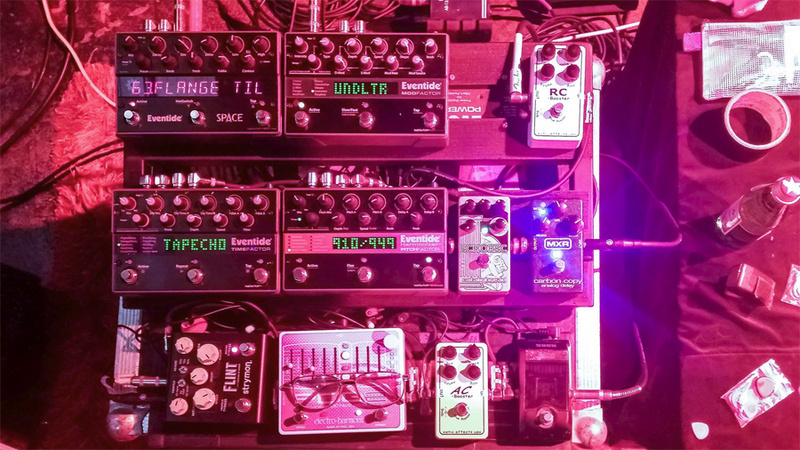 So Tim was able to get a board shot, so I wanted to post about it today. Thanks Tim for sending over the photo! You familiar with Ed Kuepper? Comment below and tell me what you think!